Morocco has recently changed their nationwide adoption laws, leaving foreign couples without hope and promise, simply devastated by the turn of events. As a predominantly Muslim country, many North African nations require religion be a determining factor when adopting children. However, last September, Morocco amended their laws, ultimately banning foreigners from adopting children. Morocco claims this is helping protect children’s interests and ultimately their religious identities. Meanwhile, foreigners that have already entered the adoption process hold with baited breath, waiting to see if their applications will become null and void under the new laws. More than 100 families are affected, including American, French and Spanish citizens, as well as Moroccans living abroad in Europe. These couples were awarded children prior to the change in laws, but are still awaiting final guardianship decisions. The new Moroccan law states that “virtuous Muslim couples, both morally and socially responsible, who have sufficient means to support the needs of the child”, can only complete the kafala, meaning “custody” in Arabic. And in another unfortunate turn of events, Islamic law stipulates that children who are adopted do not receive the same inheritance rights as Muslim biological offspring, further alienating these children. Morocco sites the change as being related to foreigners who claim to be Muslims, simply stay in a local hotel, receive custody of the child and leave the country. In essence, Morocco is seeking accountability for adoptions, ensuring that children are raised in proper Muslim homes. For the families waiting to find out if the decision will be retroactive, the nauseating wait is nerve-racking. These prospective adoptive children already know them as “mom” and “dad” based on numerous visits and these children often cry when their prospective parents depart the orphanage. With the latest emphasis on in-country residency for parents seeking to adopt, The U.S. Department of State requests that families who have already entered the Moroccan adoption process contact the Office of Children’s Issues. The department is desperately seeking to understand the number of Americans that have been impacted by this unfortunate turn of events. Additional information about legal developments will be updated and posted regularly on the State Department’s website. 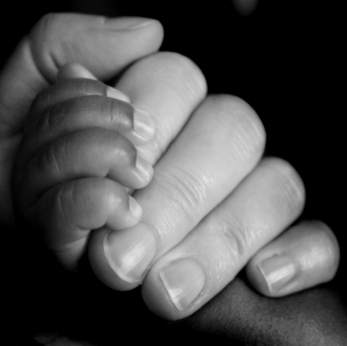 Heart to Heart Adoption is an open adoption and private adoption firm located in Utah. As a reputable Utah adoption agency, they strive to match birthparents with potential adoptive parents, helping create a cohesive process that is smooth, without unnecessary red tape, which is often associated with foreign adoptions.